Please help identify these reconners. 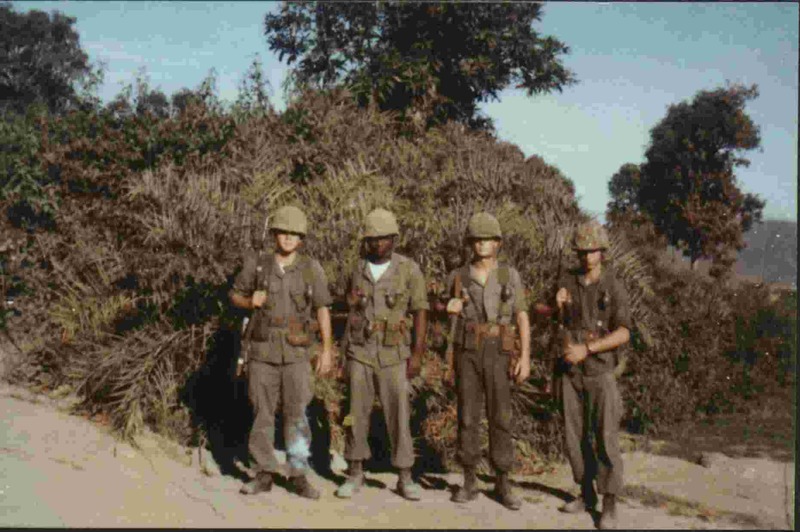 The pictures came from First Sergeant Ward of Charlie Company 1965-66. He went them to Tom Enwright without explanation or identification. 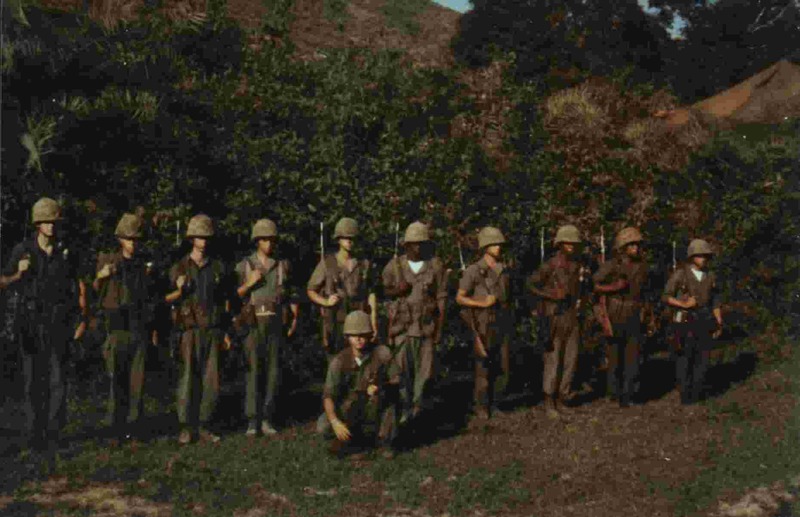 From the looks of their uniforms, the pictures were probably taken in late 1965, since the Marines are wearing the new jungle utilities but with no jungle boots. Even if someone can ID the location it would help. If you have any idea about who these men are or anything about the pictures at all, pleast contact Jim Jones by clicking here and sending an email.